Directed by Susanna Fogel. With Justin Theroux, Blanka Györfi-Tóth, Vilma Szécsi, Mila Kunis. 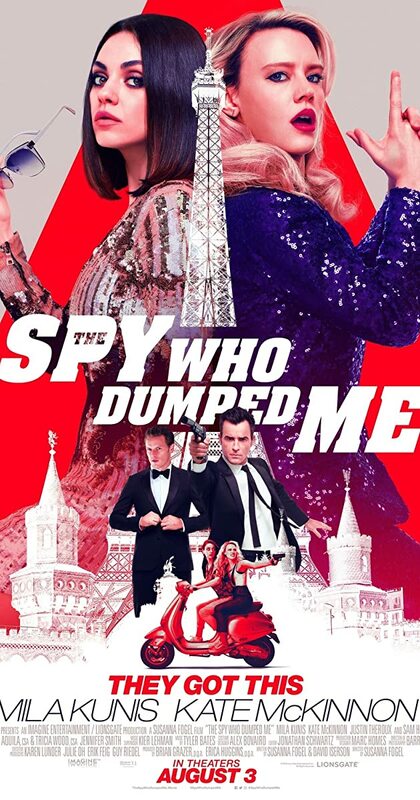 Audrey and Morgan are best friends who unwittingly become entangled in an international conspiracy when one of the women discovers the boyfriend who dumped her was actually a spy.